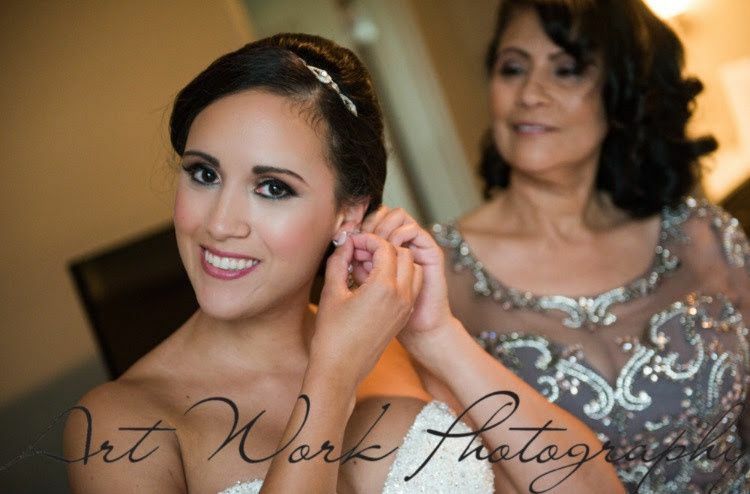 Make Me Sparkle is an on-location wedding hair and makeup provider based in Haddon Township, New Jersey. Since 2011, the company has performed beauty services on clients thorughout New Jersey, New York, Pennsylvania, and Delaware. 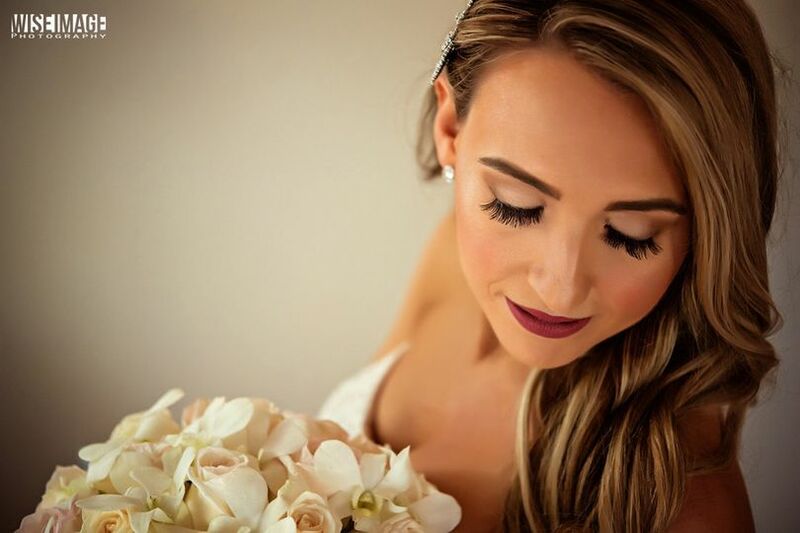 Randi, the founder, handpicked her team of licensed beauty professionals to ensure that clients receive high-qualiy beauty services and an exceptional customer experience. 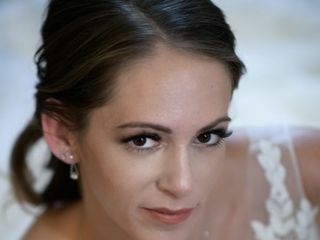 As well as makeup application and hair styling, the team offers semi-permanent lash extensions and custom spray tanning. Trials and consultations are available to make sure clients are given the chance to communicate their needs to their beauty specialist. 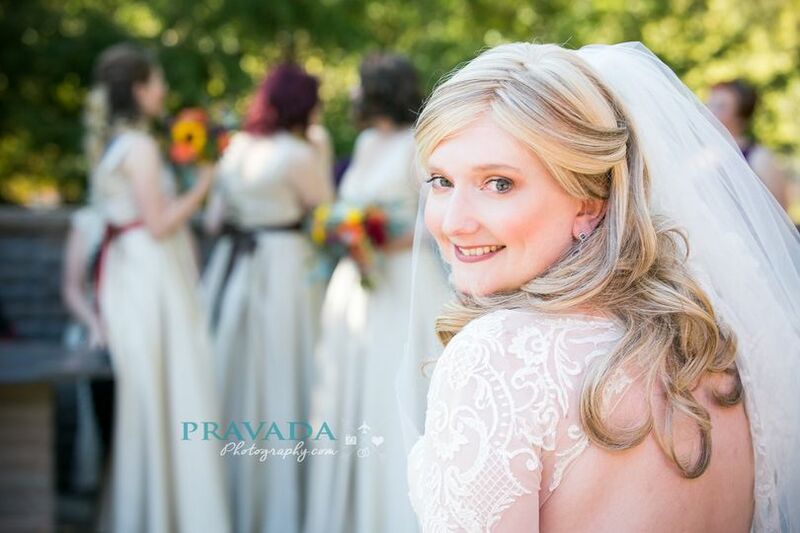 Randi made my bridesmaids and I feel absolutely beautiful on my wedding day! 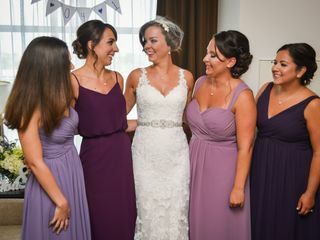 She went above and beyond to ensure that my hair and makeup would be perfect, meeting with me on three separate occasions prior to the wedding. Our first meeting was over coffee, our second was at my complimentary engagement session, and our third was at my trial. Every time we interacted, she listed carefully to my ideas and preferences and made me feel 100% comfortable. She was amazingly flexible as well. 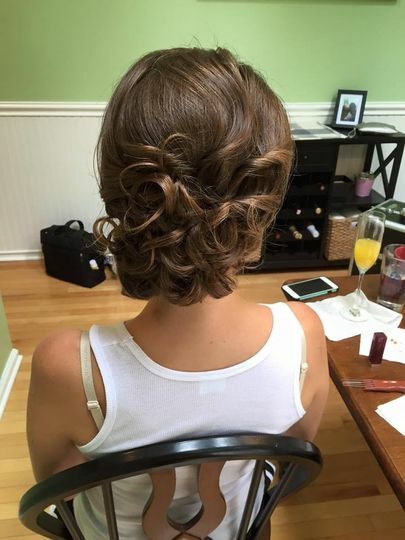 I had one bridesmaid who wasn't sure if she wanted her makeup professionally done for the wedding, and Randi still made sure to add a little extra time to the schedule just in case she changed her mind (which was good, because she did after seeing the first bridesmaid's completed makeup!). On top of being one of the nicest, most professional wedding vendors I interacted with, Randi is an absolutely amazing cosmetologist. 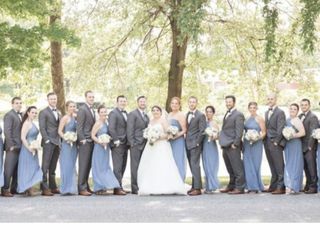 She used a spray-on foundation on me and my bridesmaids. It was very light and natural looking, but it lasted the whole day. 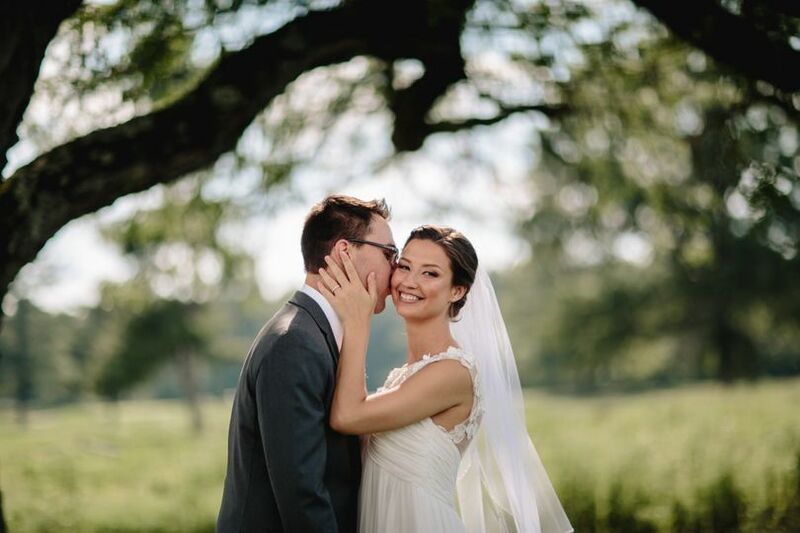 Our eye-makeup withstood tears during the ceremony and sweat while dancing at the reception. What I love most about Randi is that her approach to hair and makeup makes you feel like a more beautiful version of myself, rather than a made-up Barbie doll clone. 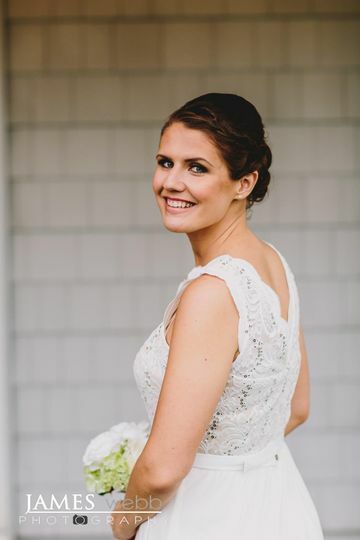 The hair and makeup that she did for my bridesmaids and I was very individualized, reflecting our different features, senses of style, and personalities. Each of us looked absolutely beautiful in our own unique way. 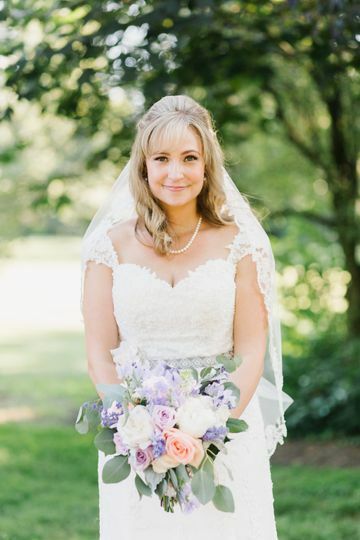 If you are uncertain about whether or not you should get a cosmetologist for your wedding day, my advice would be to meet with Randi to talk about her services. 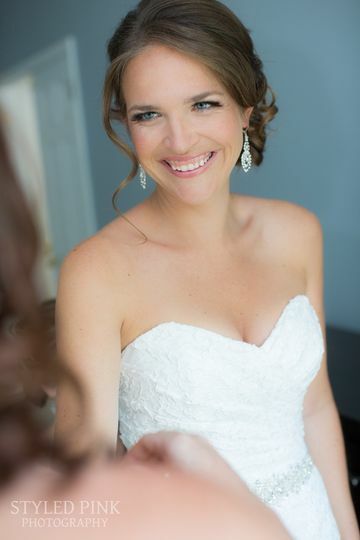 I've been a part of weddings where everyone did their own hair and makeup, and there was inevitably lots of stress and even some tears. 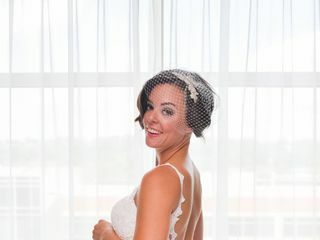 Randi made the getting ready process stress-free, which really allowed me to enjoy the morning with my bridesmaids and focus my emotions on the fact I was about to be married! Randi and her Make Me Sparkle team are the only way to go for hair, makeup and lashes. Randi does all airbrushing which not only hides any breakouts and or blemishes but looks fresh all day long. Randi and her associate Jessi were able to get 12 girls ready in three hours. We had to start getting ready at 6 AM and they were there, set up and ready to go before we even arrived. Additionally, my mom was not used to the airbrushing and wanted her makeup put on by a brush and Randi graciously did that for her. I cannot say enough amazing things about Randi, Jessi and the entire Make Me Sparkle team! Randi is absolutely AMAZING. She responded quickly to all my emails and texts. She is extremely easy to work with & talk to! 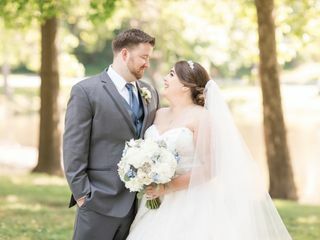 She made everyone look just so gorgeous for my big day! I cannot thank you enough Randi!! I HIGHY recommend her to anyone looking to be glammed out!